When you think of idyllic beach destinations, if you’re like most “Africa” probably isn’t the first thing to come to mind. But in recent years Zanzibar has been heralded as the ‘new Caribbean’, and with pristine white sand beaches stretching into the turquoise Indian Ocean, it is easy to see why it’s climbing to the top of the honeymoon goers lists. And whilst its beauty does naturally entice those in need of a romantic getaway, it is by no means limited to this. It is also a destination for keen backpackers, adventurous divers, and a perfect way to round up a trip from mainland Tanzania. Although this slice of paradise is becoming more and more touristic, there is still a lot of untapped potential and the island largely has a rustic, untouched feel about it. What makes Zanzibar so special is the variety of experiences it has to offer, from diving in its stunning coral reefs, to soaking in history and culture in Stone Town, to visiting remote traditional African villages and of course, its spectacular beaches. However it is vital to know where on the island to go, as idyllic beaches aren’t guaranteed on all sides of the island. Arguably the best beaches in Zanzibar (and East Africa for that matter), are located on the North side of the island. Head for Nungwi and Kendwa beach for consistently clear water. 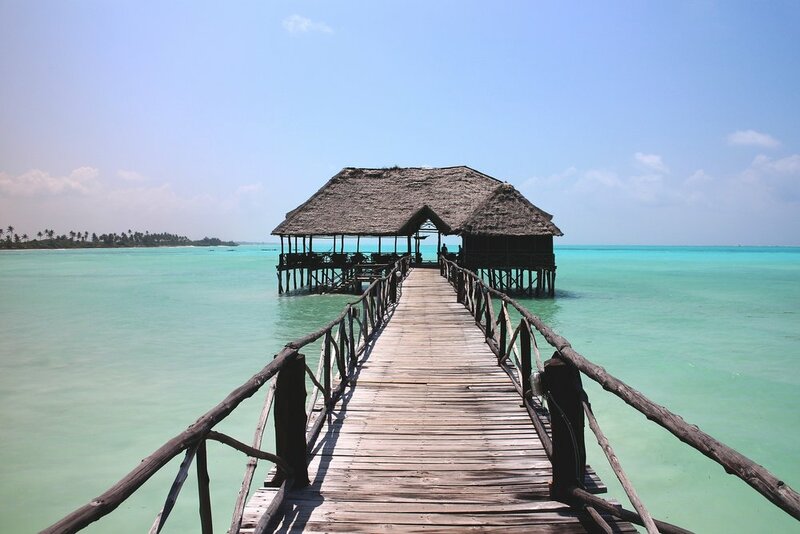 If you’re looking for somewhere a bit unique to stay, with a touch of luxury, beachfront Zuri Zanzibar has beautiful detached ‘bungalows’ with incredible views bound to leave you breathless. Whilst the East is brimming with options for beaches, they are mostly tidal so the sea can retreat very far away. Altogether the West Coast has little in terms of beaches but there are still a couple beaches in the East where you can avoid the effects of the tide. Pongwe is one of these! It is secluded and has few options of hotels to stay, in fact most visitors will be staying at the Pongwe Beach Hotel. The magic of Zanzibar as a whole is its ability to provide visitors with peace and tranquility, and that you will definitely find on this part of the island. If diving is something that interests you, the archipelago of Zanzibar and the Mafia Islands are well known for beautiful corals and an array of underwater safari, including manatees and bottlenose dolphins. Sites are available for all levels of divers, for instance Leven Bank with its strong currents is for advanced divers only whereas at just 12-16m in depth more amateur divers can enjoy the Nankivell and Hunga reef. Another fantastic perk about Zanzibar is its consistency in temperature throughout the year. With a warm climate and then a cool breeze to manage higher temperatures, you can visit whatever time of year suits you, although it’s also important to take into account the ‘rainy’ seasons. In Zanzibar there tends to be more rainfall in April, May, November and December, but temperatures remain at an average of 24°C (75°F). If what you’re looking for is a carefree break without the constant pull of the modern world, Zanzibar is the ideal spot to forget your troubles and become immersed in the present, taking in all the beauty the island has to offer.